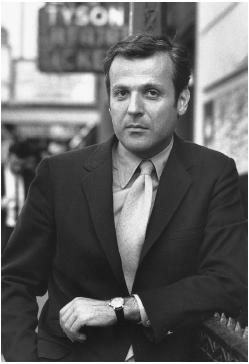 Currently reading William Goldman’s Adventures in the Screen Trade, and falling in straight-up love with the guy. Always have appreciated him, but really, he is quite the treasure. Your formative movie experiences were most likely spilling from his brilliant brain. One of the best things I went to at Tribeca was a tribute to Goldman where the likes of Aaron Sorkin and the (silver foxy) Tony Gilroy spoke beforehand. I wrote it up; do read it if you like to hear what geniuses have to say. Forgive me for the overheated first paragraph and the blatant typo in the second sentence. I can say that this piece was written under a stressful, no-sleep situation. One thing I’m finding frustrating about my old pieces from there is that we were such a small rush-job of a place, I see far more typos than I wish I did, and I’m afraid that only makes my writing look amateur. I know the internet has taken writing out at the knees, but it kills me to see how it’s taken out the art of copyediting and editing. There aren’t as many Maxwell Perkinses anymore, but boy do I appreciate them when I cross their paths.